Serena Williams stressed that she was "still at the very beginning" of her comeback after crashing out in the second round of the Cincinnati Masters. 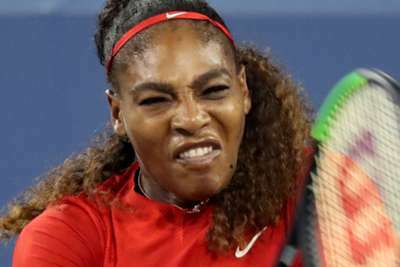 Williams lost 6-3 2-6 6-3 to Petra Kvitova on Tuesday, following on from the heaviest defeat of her career at the hands of Johanna Konta in the Silicon Valley Classic a fortnight ago. After that 6-1 6-0 thrashing, the former world number one withdrew from the Rogers Cup citing "personal reasons", before clarifying that she was trying to cope with "postpartum emotions" following the birth of her daughter in September. But Williams struck an optimistic tone as she reacted to another setback in her bid to regain top form. "I think it was a good match today," she said. "We both played at a really high level. Only one person could win. "I'm still at the very beginning. You know, this is a long comeback. I just began. I just started. Definitely at the very, very beginning.